In a demonstration conducted by Crop Production Services (CPS) in Galesburg, Illinois, Extract PBA was sprayed in fall 2017 on a corn field post-harvest. In spring of 2018, stalks were pulled and split to examine the differences in residue breakdown between treated and untreated parts of the field. 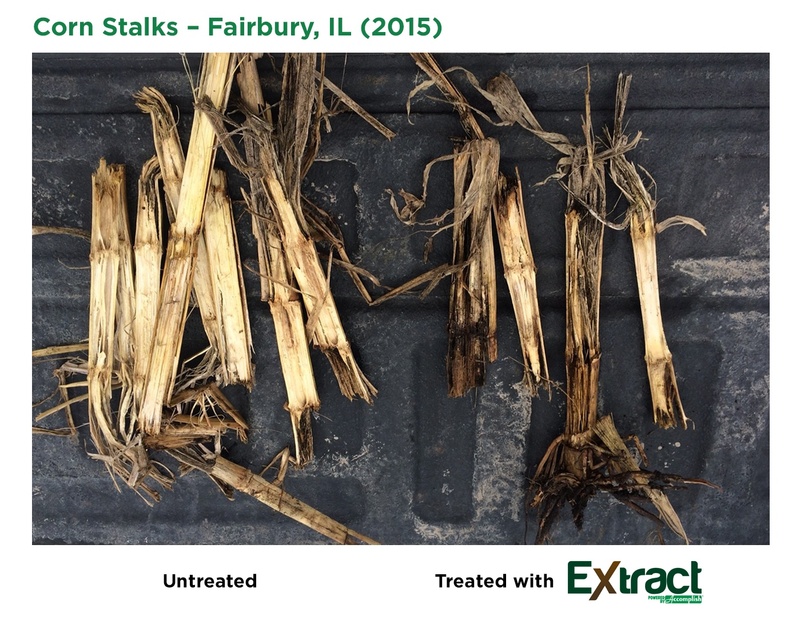 As seen in the photo, the Extract-treated stalks were in a more advanced stage of decomposition than untreated stalks by early spring. Extract PBA was sprayed on Nov. 29, 2017. This photo shows corn stalks from treated and untreated parts of the field that were pulled and split on March 23, 2018. 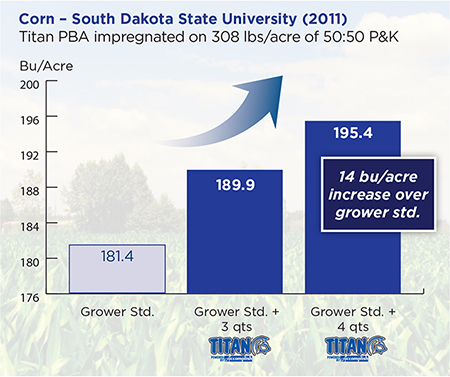 An application of Extract PBA can help growers keep a tight focus on nutrient efficiency by powerfully releasing nutrients from residue for use by the coming crop. 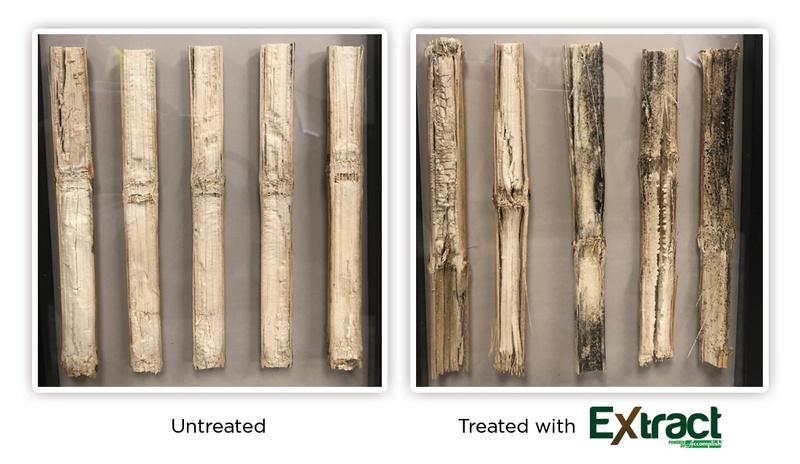 In this side by side trial conducted in Fairbury, Illinois, one half of the harvested corn field was sprayed with Extract PBA in late September and the other was left untreated. There was very little moisture in the first 6 weeks after application, and photos were taken approximately 8 weeks after application. 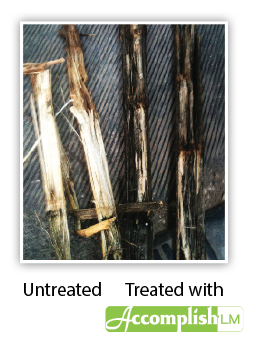 As the photo shows, decay on the treated stalks was well advanced compared to the untreated check after only 8 weeks. Effective Residue Decomposition – Is More Nitrogen the Answer? Yellow seedlings are a familiar sight for many corn growers. On continuous corn acres, the carbon-to-nitrogen ratio can be more than double the optimal ratio* for crop residue decomposition due to the buildup of organic matter from multiple years of corn-on-corn rotations. Even if a grower has applied nitrogen during the previous fall or around spring planting, soil microbes can out-compete seedling corn plants for nitrogen when excess carbon is present. The microbes use the nitrogen as a food source, immobilizing it as they work to degrade crop residues; the seedling corn plants, meanwhile, turn yellow due to a lack of available nitrogen. 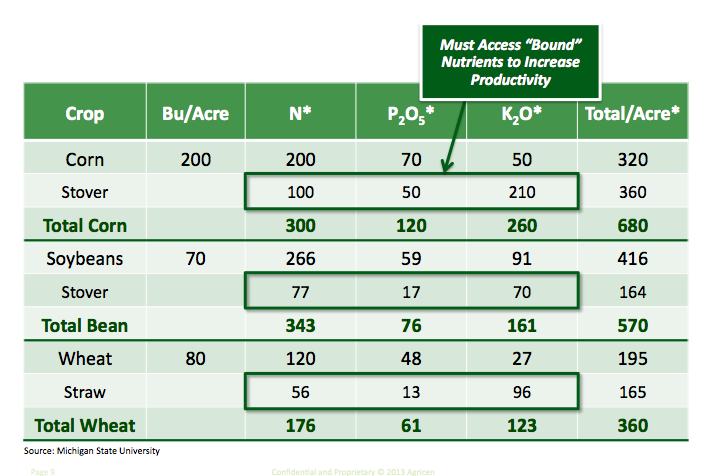 How Can We Access More Nutrients from Crop Residue? 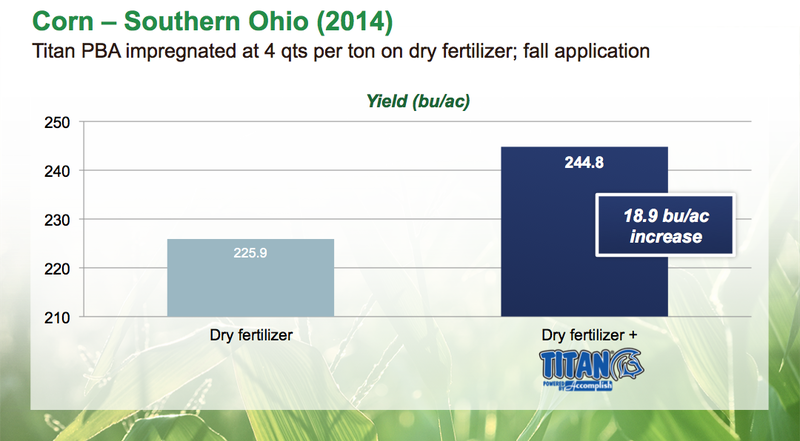 Reducing a fertilizer’s leachable nitrates allows the fertilizer to act more efficiently. It also helps protect our water resources.